Records pertaining to Water Safety will be stored using a Log Book. Given the structure of the University, the format of the log book is set out in the table below. Estate Management will produce a Log Book to assist the Departmental Responsible Persons to undertake and record the tasks assigned to them. This will be based upon the current Risk Assessment. Estate Management will update this when the Risk Assessment is reviewed and re-issue. Generally, Log Book A will contain Estate wide information pertaining to Water Safety. 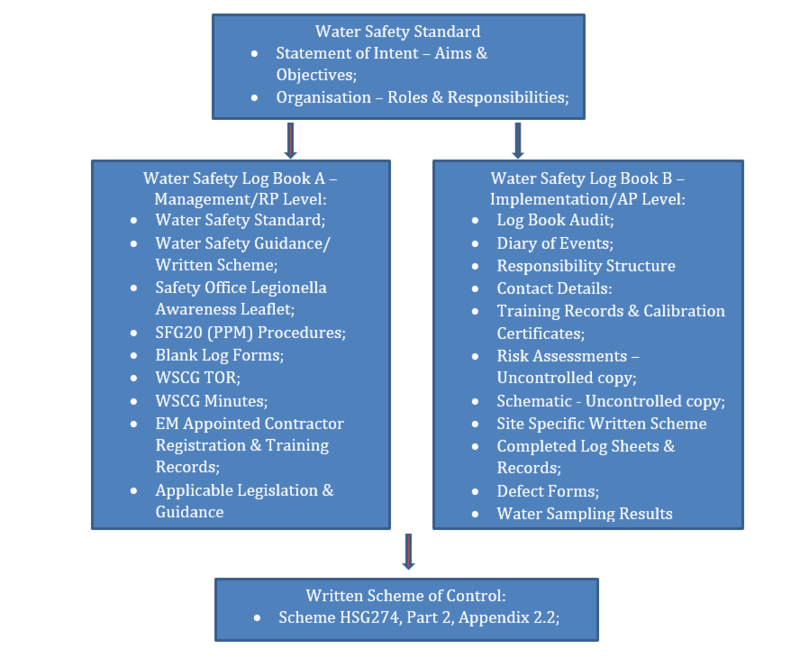 Part B will contain building specific information pertaining to Water Hygiene and Safety under the control. The EM Responsible Person shall ensure the documents in Part A and B are suitable and sufficient. 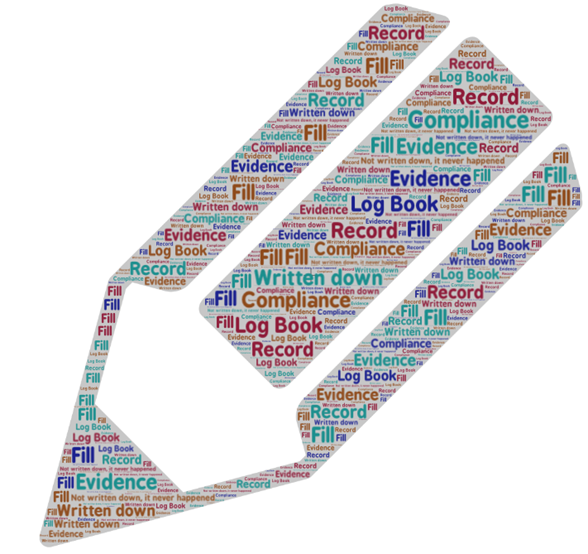 Should there be updates to any aspect of documents used as part of the Log Book, then the EM Responsible Person shall communicate these to all Departmental Responsible Persons. The Departmental Responsible Person shall ensure that Part B is updated as and when required. Should they be in receipt of a communication from the EM Responsible Person of an update to a document, they must update their building Log Book as required. Log Books shall be audited to ensure the efficacy of the ongoing Written Scheme. If it isn’t written down, it never happened! Under the ACoP, there is a requirement to undertake certain tasks to ensure the water systems are kept safe. An overview of these tasks is set out in the table below and who’s responsibility it lies with to complete. A log book describing these services should be maintained and details entered about the various maintenance activities and results of all the tests.